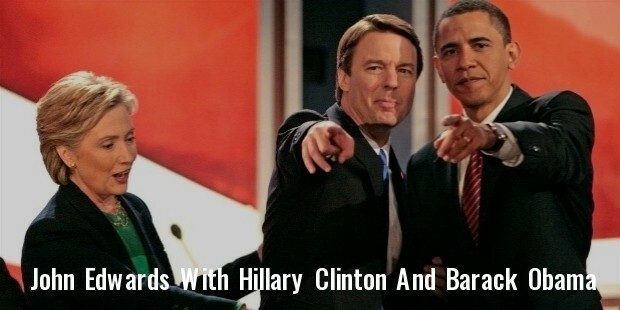 John Edwards is a politician of American origin. He was the Senator from North Carolina. The Democrats named him their nominee for the Vice Presidential elections of 2004. The Democratic Party also nominated him as the prospective candidate for the 2004 and 2008 Presidential elections of the United States. John was born on 10th June, 1953 in Seneca, South Carolina. He travelled to different places with his family and finally settled in Robbins in North Carolina. Edwards acquired a Bachelor’s degree in Textile Technology from the North Carolina State University and then went on to gain a Juris Doctor from the North Carolina School of Law. He used to play football when he was in high school. Edwards started his career in law as a clerk in the office of a judge in North Carolina. He later went on to join a law firm and started working on cases for large organizations. Edward established his own law firm along with a close friend. 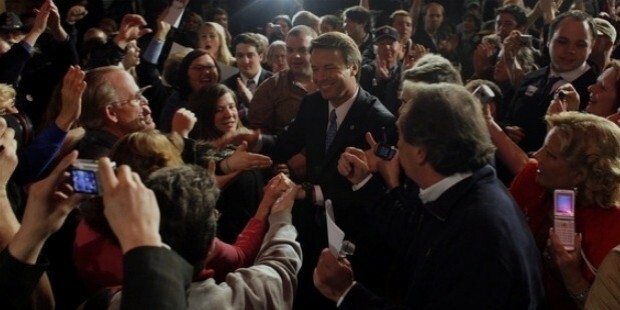 John Edwards stood up for various social, economic and political issues in America. He ran for the senatorial elections in 1998 as a Democratic candidate and defeated the ruling Senator, Lauch Faircloth. 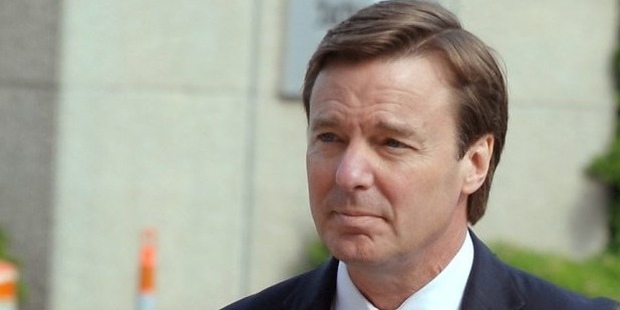 During his term as the Senator of North Carolina, Edwards presented 203 bills, including the 2002 Iraq War Resolution, Patriotic Act, Fragile X Research Breakthrough Act, Spyware Control and Privacy Act. He held an important place in the US Senate Select Committee on Intelligence, New Democrat Coalition and the US Senate Committee on Judiciary. During the Presidential election, the Democrats nominated John Edwards, John Kerry and Joe Lieberman for the post of Vice President of USA. 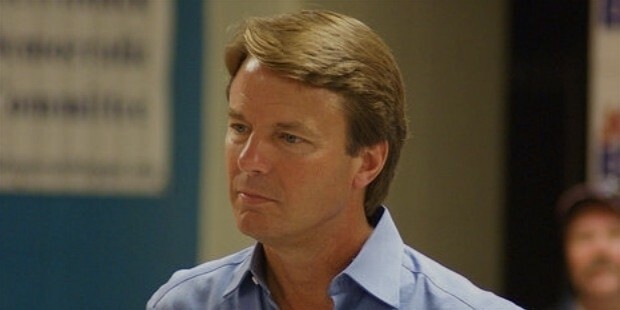 Though Edwards tried to make a place for himself in the 2004 as well as 2008 presidential elections, he later gave it up and supported Senator Barack Obama. 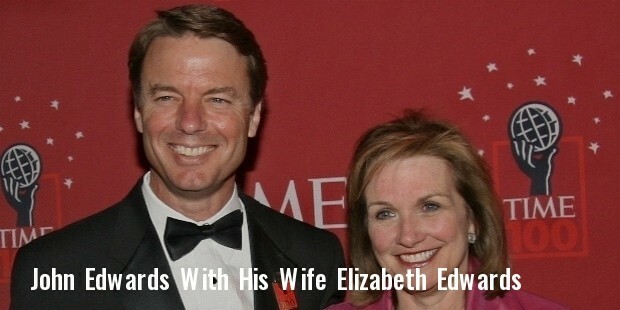 John Edwards married his college mate Elizabeth in 1977. They have four children; Wade, Catharine, Emma Claire and Jack. Following the Rielle Hunter fiasco, the couple divorced in 2007.